Martin loves passing on his gardening knowledge and has been involved in garden writing and broadcasting on radio and television for over 20 years. 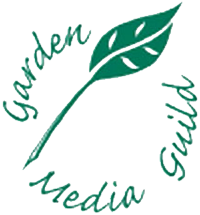 He is a long-standing member of the Garden Media Guild. Martin specialises in practical gardening advice in an easy to read, down to earth style. A weekly gardening magazine that sees Martin offer tips and advice on growing ‘Undercover’. Each week Martin guides you on all aspects of growing in a greenhouse or polytunnel – what to grow and when, how to maintain your crops and how to make the most of your success. Martin writes for Which?Gardening on a range of gardening subjects. He is also one of the advisors on the members’ Helpdesk where he answers all sorts of gardening questions and problems. Join Martin every month from his garden where he writes about jobs to do in the fruit and veg plot. He also gets out and about for the magazine visiting inspirational fruit & veg gardens across the country. "I have worked with Martin for over 20 years, latterly on Kitchen Garden. Throughout that time he has always delivered perfect, timely copy and excellent pictures, needing no work on my part. As a lifelong professional horticulturist he instinctively knows what our readers want and is quick to come up with original and relevant feature ideas that I just know they will love."